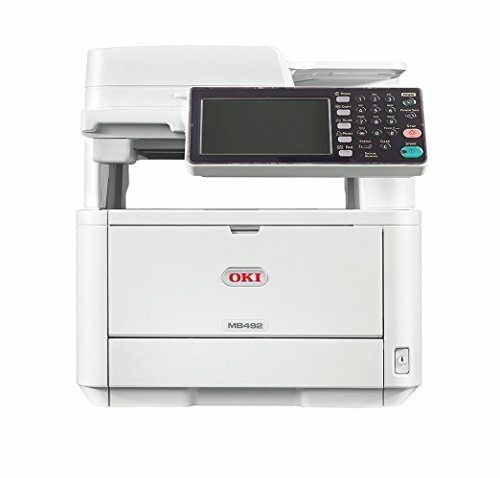 OKI is not a printer brand name that is very familiar to the average consumer. But in the SOHO market, it is a brand that is familiar and trusted. The MB492dn is their latest monochrome multifunction printer which is just entering the Malaysian market. 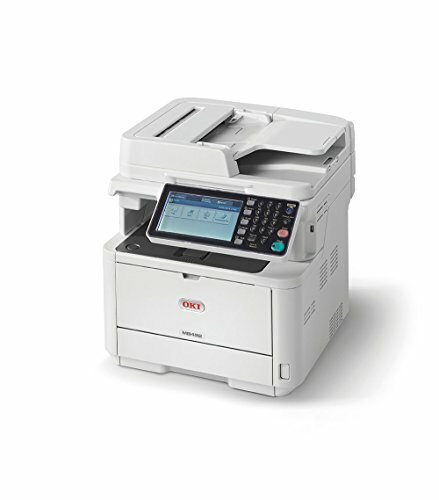 It can print, copy, scan and fax. In terms of appearance, at least compared to its inkjet brethren from HP or Canon, it is not a stunner. 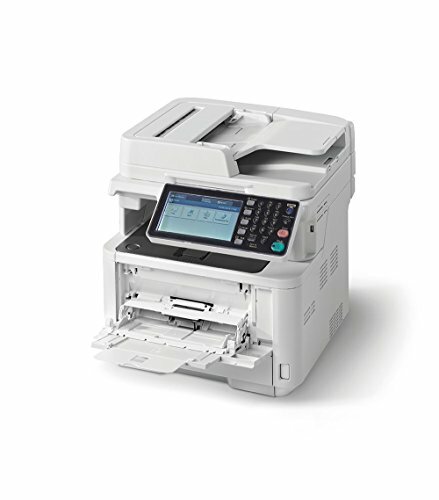 A mix of black and beige, the MB492dn looks reassuringly like any other office printer. A large 7-inch color LCD touch screen adorns its face. With clear easy to use menus, this screen makes setting up the printer really easy. You can customize the printer directly from the LCD screen without diving into the driver GUI. The same ease of use applies to the device’s drivers. Although not as colorful as some of the driver GUIs that we have seen from HP and Epson, it has a lot of business friendly options. Coming under a fancy term smart PrintSuperVision, these include widgets to control the printer and manage its usage across the office network. If you wish, you can restrict access to individuals or groups and manage printing and copying within defined cost limits. sPSV also provides you with the ability to report on usage across the network, capturing information on volume, paper size, media type and consumables usage. There is also an option to directly convert hardcopy documents into digital formats. 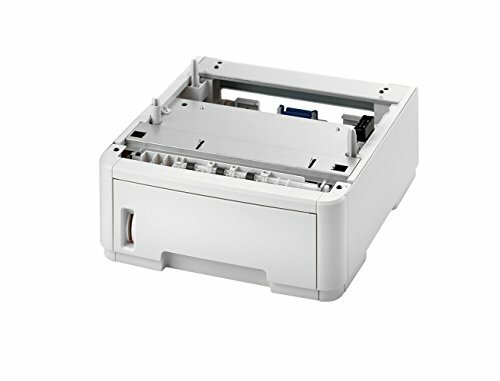 With its automatic duplex printing capability, the MB492dn is clearly a device aimed at the small and mid-size business market. The printer has a 350 sheet paper capacity while the toner is available in 3,000, 7,000 or 12,000 page capacities. If your office prints a lot of documents, you can bolt on an additional 530 sheet A4 tray. There is also a 100 sheet multi­purpose, manual feed tray which allows the MB492dn to print on paper sizes from A6 to 1321 mm and up to 163 gms in weight. If you wish to print remotely, you can do so via Google Cloud Print and it is also compatible with Apple’s AirPrint. The MB492dn scanner’s 1200 x 1200 dpi resolution is certainly high enough to produce clear copies and prints. 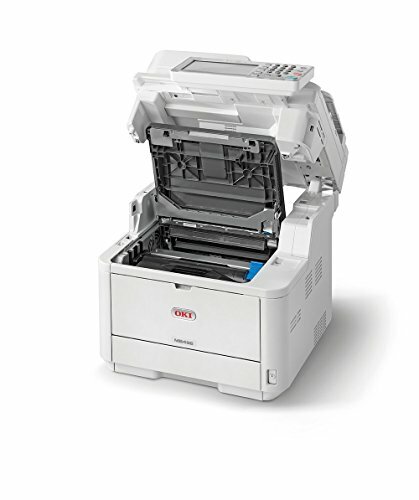 Let there be no doubt about it – the OKI MB492dn is a top performer in all categories. As claimed by OKI, the first copy appears in less than 10 seconds. Even at its default or economy settings, print quality is excellent. Text edges are sharp while images display a nice gamut of graduations between the deepest blacks and lightest greys. The quality of the scanned images are also excellent even without any manual calibration. 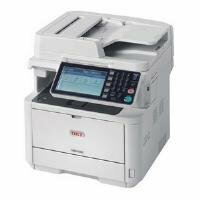 In conclusion, the OKI MB492dn is cost efficient and a delight to use. It is highly recommended for a small or mid­size business. 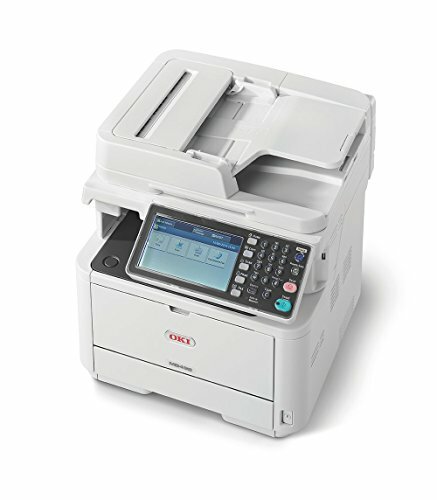 …the OKI MB492dn is a top performer in all categories.